Not only a great choice for wearing in a colder weather. You will appreciate it also during all variety of activities, like in a public transport or during your meetings when a baby carriage would be an inconvenience. Our coats are offering a multiple options. 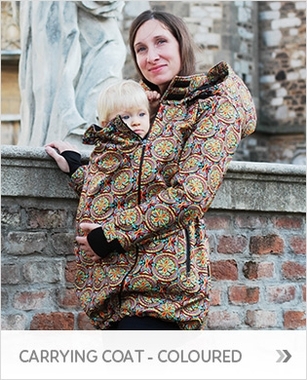 Allow front and back carrying using wrap or a carrier. You can use it during pregnancy by simply adding an optional insert. 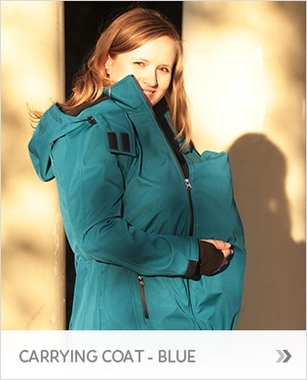 As all inserts are easily detachable and the jacket can be used in the regular way as well. Raglan sleeves are detachable so you can easily convert it to a waistcoat and use it during warmer weather. Materials are always of high quality, with different parameters by product. An ideal choice for spring and autumn times. 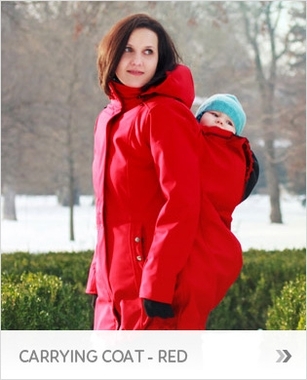 All moms will appreciate the size adjustment in the waist and in the bottom of the coat, as well as removable hoodie and pregnancy insert. 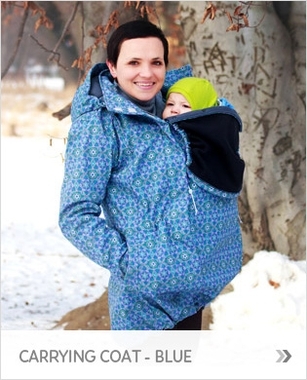 Size is adjustable using flexible bands; hoodie and the pregnancy insert are attached by the zipper. 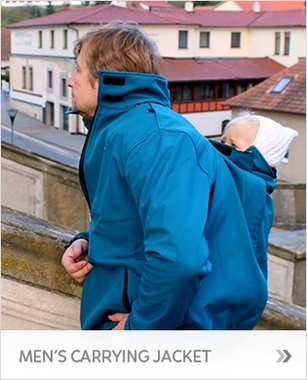 Very practical is also a small part on the top of the carrying insert that can cover baby’s head. This part can be attached to the coat to keep the baby’s head protected or can be removed at all if needed. Coat is designed to the last detail and has many clever features for comfortable carrying. 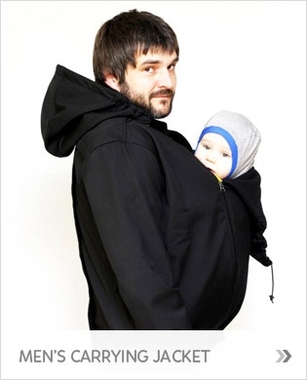 Also active dads witll appreciate the opportunity to carry their babies and protect them babies from a cool weather. 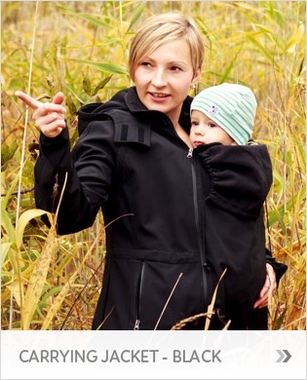 And we’re sure, moms will appreciate that help during family walks :-) Our softshell jacket for men is carefully designed and tested. Has a lot of clever features that fathers will enjoy. 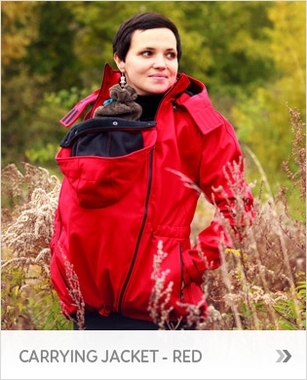 Jacket can be used for front or back carrying or can be used as a usual jacket, by removing carrying inserts.